Having a convenient, organized and functional closet space where you can easily find your items is ideal here in West Palm Beach, especially for those on the go. A reach-in closet is the perfect solution for this. 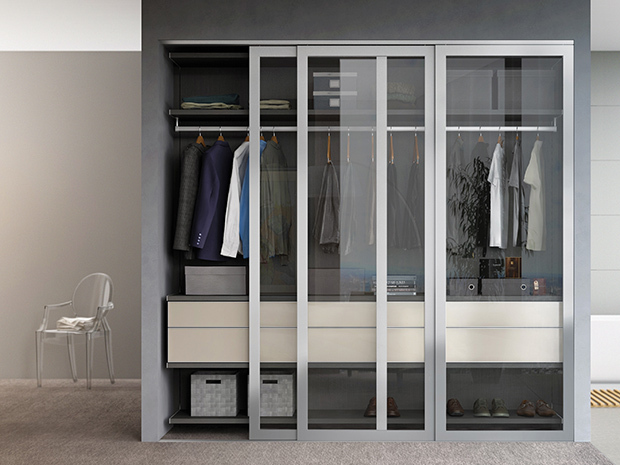 In this article, we provide design ideas to make your reach-in closet stylish, organized and easy to access here in Okeechobee, Oakland Park, Tamarac, Lauderhill, Davie, Miramar, Coconut Creek, Plantation, Cooper City, Deerfield Beach, Hallandale Beach, Weston, Pembroke Pines or Lake Worth. 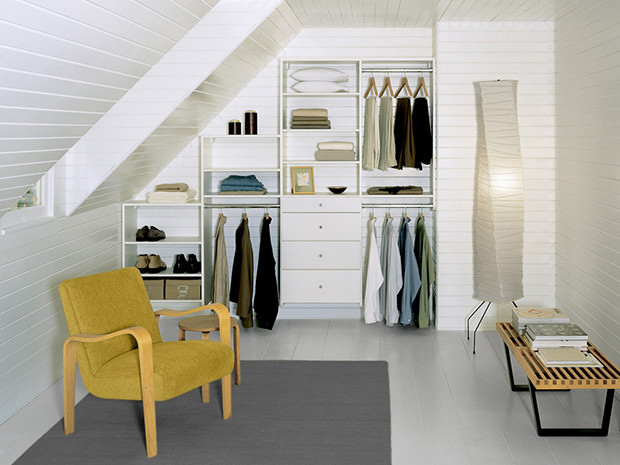 Reach-in closets are great because they suit most people’s lifestyles: they’re easy to access, great for smaller spaces, and still manage to store and organize all of your items. A combination of drawers, shelves, inserts, differing heights of hanging rods, and other options give clothing, shoes, and accessories a home that is organized and easily accessible. Taking advantage of corners with custom solutions maximizes small spaces, and pullout accessories such as belt, tie, scarf and valet rods maximize space and organization. The combination of Dark Wood finish with white allows the closet to seamlessly fit within the existing design of the space. Lago®Milano Grey establishes a simple color palette. Get started on your own design by contacting the West Palm Beach California Closets team. You’ll receive a complimentary, in-home expert design consultation for your space. 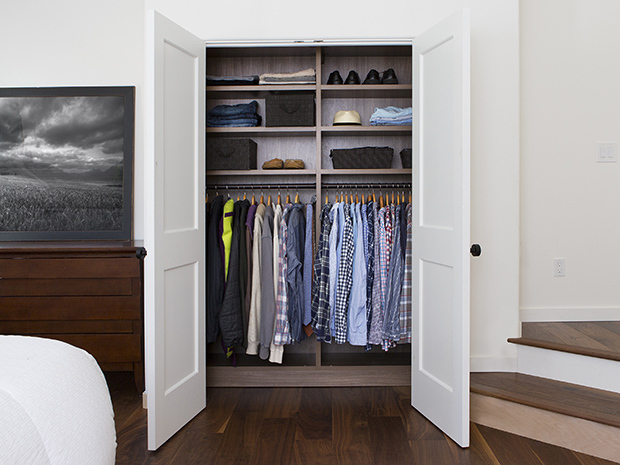 Featured on Houzz, California Closets is the leading designer and storage organizer in the country, transforming homes in cities nationwide. Stop by our Vero Beach or Palm Beach Gardens showroom to get started.